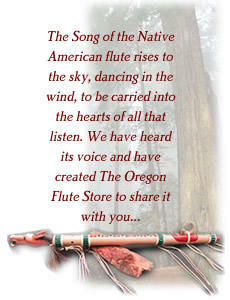 As you visit us here at the Oregon Flute Store, you'll discover that we offer a large selection in... 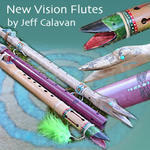 Native American Inspired Flutes, Protective Flute and Drum Carrying Cases, Flute Accessories, How To resources and more! Each month, see our newest products offered at a discount on our Featured Products Page. We represent several renowned Native American and Native American inspired flute makers… Brent Haines, Stellar Flutes, James Gilliland, Guillermo Martinez, Ken Light, Jeff Calavan, Xavier Quijas Yxayotl, Keith Glowka, Nashtavewa ... and offer a Custom Flute Shop where we'll create your dream flute to meet your specifications. We carry several Native American style flutes in inventory at all times in an attempt to provide you with same-day delivery.